Find My Workspace lists over 95% of the business centres market in Livingston. Simply click Request Quote to check pricing for one office, or Add to Basket for multiple offices. 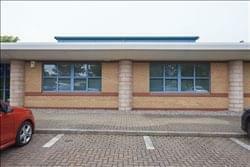 A modern building, newly converted into a business centre offering superior, contemporary office accommodation. Offices range from 124-2564 square foot and workshop units range from 1000-2000 square foot. Spaces are available to let on both short and long-term arrangements. 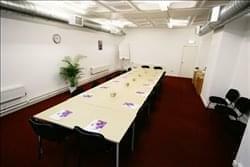 There are a variety of offices available; ranging from smaller one-person offices for start- up businesses to larger offices for larger companies. 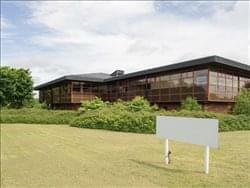 The business centre is accessible 24-hours a day, great for flexible working and is monitored by CCTV. There are kitchen facilities available to use along with parking for users of the centre. 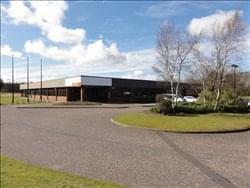 Based in Livingston, this centre is composed of over 15,000 sq ft of space and offers offices, workshops and storage units. Spaces range from 100sqft up to 1,860sqft – making it an exciting proposition for business of all sizes, whether a freelancer or start-up, or a more established company. The centre is also fully secure and ample parking – negating any morning stress to find a space. Tenants can also take advantage of simple, flexible rental terms. The centre is accessible 24 hours a day, 7 days a week – ideal for those who work less traditional hours or need to stay late into the night. Based within the Kirkton Campus in Livingston, this modern, two storey building is set among lush greenery, tall trees and mature landscaped gardens. The centre is comprised of over 15,000sqft and offices range from 167sqft to 1,214sqft making it an exciting proposition for business of all sizes. The building has a unique design and boasts a cantilevered floating pavilion that was designed in 1989. The centre offers flexible managed workspace along with ample parking, a lovely welcoming reception area, dedicated breakout space and unloading areas. Tenants can also access the building 24 hours a day, meaning the traditional work schedule can be ditched in favour of your own working hours. To obtain information for your selected West Lothian Business Centres, please tick the "Add to basket" box for each office you prefer and complete the form below. We will then send a detailed report via email.